Ft. Lauderdale has become a gay-vacation Mecca. It is home to a large gay community, the local government is gay-friendly and a growing number of businesses cater to gay tourists. There is also a good selection of tourist attractions. Fort Lauderdale is one of the most popular departure ports for the many cruise ships, popular with gay couples. Ft. Lauderdale is a less-intimidating kind of gay destination, more popular with mature gay men. With over 37 km of wide, sandy beaches it is the perfect beach holiday location for sunbathing, swimming, fishing and snorkelling. 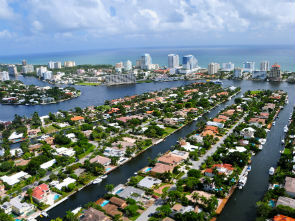 Each year Fort Lauderdale is home to the largest gay Pride Festival in Florida, that side of The Atlantic. The Stonewall Street Festival is a smaller Pride event occurring each summer, just to mention two of the many events taking place here. See our extensive list of gay events at the back of this guide.